A revolution is underway in the music industry, and it will not be televised. It will be streamed on YouTube. Then, someone will write a song about it, leading to the subsequent creation of lyric videos, remixes, or maybe an acoustic cover. The importance of YouTube in the distribution and discovery of music in the digital world is undeniable. Over half of top 50 YouTube channels with the highest view count are dedicated to music, mostly made up of official artist and record label channels. On Wednesday, YouTube made the network’s strong connection to the music industry and the listening habits of their users official: they launched a separate music streaming channel along with a beta version of their own music subscription service. YouTube Music page, similar to the home page, shows users the music videos recommended for them, along with the most popular music videos and playlists by genre. YouTube’s official blog also promised full-length albums in high quality to be uploaded through YouTube Music for users’ listening pleasure. The page can be accessed through a web browser, as well as on YouTube’s mobile app for both Android and iPhone. However, users wishing to enjoy free tunes on YouTube will run into a familiar inconvenience—advertisements, an expected trade-off for the video network to afford streaming rights for high-quality audio. For those wishing to have an uninterrupted music-listening experience, YouTube has launched a beta version of a paid music subscription service called YouTube Music Key. A starting monthly fee of $7.99 (expected to rise to $9.99 after the initial promotion) guarantees users an ad-free listening experience, along with offline access and a subscription to Google Play Music store. The bad news? Currently, YouTube Music Key beta is only available to the network’s “biggest music fans” by invite only, as stated on the official blog, with the wider service later. In 2012, a Nielsen survey identified YouTube as the most popular source of music for teenagers, with older media like radio and CDs trailing behind. For social media and online marketing, user engagement is everything. A critical mass of users signing up or leaving your service for your competitor can make or break your brand. And the one user group social media analysts watch the most are teenagers: their love of Instagram made the networks’ user base double in less than a year, and their preference for social media as a source of news put newsrooms around the world in a panic for their future. Behaviors and habits of the young and broke often shape a market, so don’t ignore the needs of a younger customer. Teens can make a single Target employee into a social media sensation overnight, so you should not ignore their needs and interests in your online marketing efforts. Despite the copyright battles and numerous opportunities to monetize on their active users, YouTube remained free to use. And now, some say that if a fraction of YouTube Music users to convert to the paid streaming service, YouTube Music Key, the service will quickly outperform veterans such as Spotify and Rdio in the field. Nothing good is free for long, but you have to prove your worth to your clients before introducing a charge for your products or services. 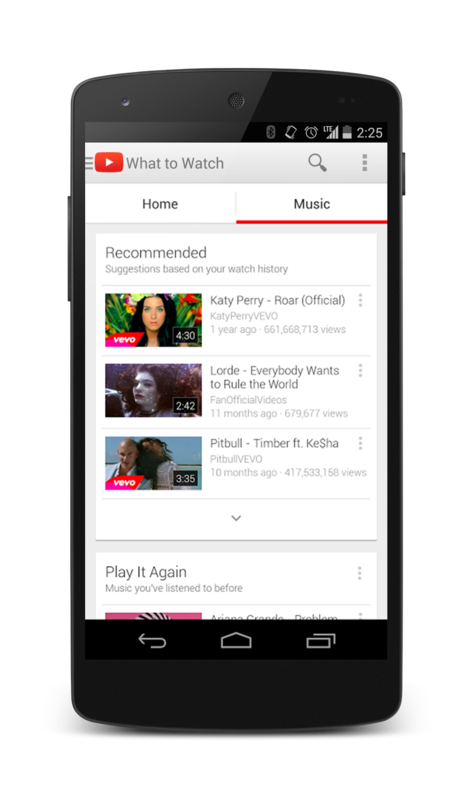 YouTube’s music offering is well-positioned to demonstrate how a freemium model can generate real profits. The 2006 acquisition of a one-year-old YouTube was one of Google’s biggest buys at the time. Now the video-sharing services reaches more US adults ages 18-34 than any cable network, according to YouTube’s official blog. If you’re in the streaming music business, you learned firsthand this week not to underestimate the search giant’s power. For the rest of us the lesson is simple: always keep one eye on Mountainview. For good measure, maybe also brush up on your SEO knowledge and update your Google+ profiles. And while you’re at it, why not learn a thing or two from Google’s new marketing training app, Google Primer. Improve your social video strategy with Hootsuite’s YouTube app!